In an open letter to Kew Ward residents we are delighted to be able to announce a major development regarding the Ovington Drive Park playground closure. Photo – Liz Savage and Kew Ward members, Janis and Jim Blackburne and Linda Heap, with protestors. We have an important update for you concerning Ovington Drive Park. You may be aware that the playground has had to be temporarily closed on safety grounds. This is after a young girl broke her arm in Formby on equipment of a similar design and age. 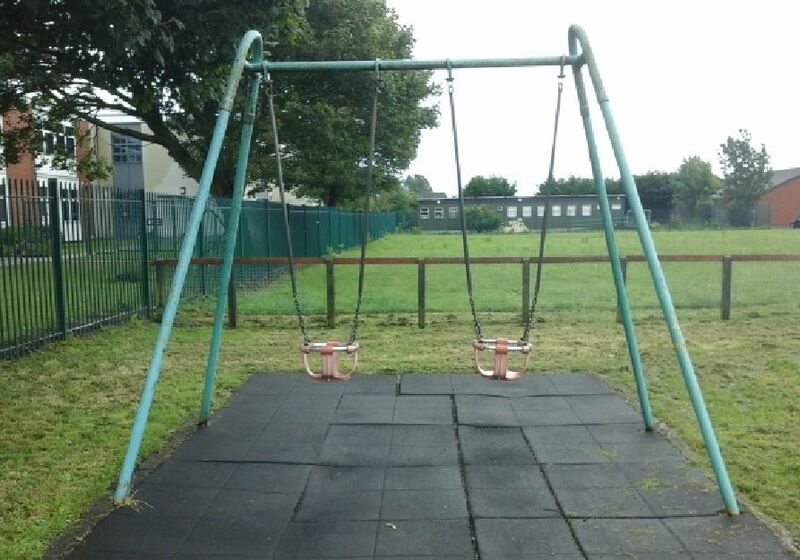 The equipment, which is now 30 years old, had corroded internally and gave way, forcing Sefton Council to close the playgrounds in Formby and Ovington Drive to avoid the possibility of further injury. This has caused a lot of concern locally, especially as it appears there was some confusing information surrounding the decision being circulated and a meeting with council officers and ward councillors had to be abandoned after details were leaked. As a result, Liz Savage, Labour’s local parliamentary candidate in 2015 and ’17 and colleagues from Kew Ward of Southport Labour Party have spoken to local residents and the Chair of Governors at Kew Woods Primary School and subsequently made representations to Sefton Council. With over £200m lost to Sefton since 2010 in budget cuts agreed by Conservatives and Liberal-Democrats, money to replace the equipment is obviously very tight. Liz and her Southport Labour colleagues, however, have discovered that there is over £20,000 in local ward funds unspent, which could be put towards the cost of refitting the playground. Ward funds are council funds but spent at the discretion of your local ward councillors, so it needs the agreement of Kew Ward’s Liberal Democrat councillors, Booth, Weavers and Pullin to use them. The proposal will also mean a full consultation is carried out with local residents and Kew Woods Primary School to explore what facilities they would like to see re-installed. The most expensive option is thought to be refurbishment on a like-for-like basis which is significantly higher than the ward funds at an estimated £50,000 or more. If that was the option local residents decided upon, Sefton Council’s Leader, Ian Maher, has agreed to put in the extra money to save the playground if the Kew Ward funds are also contributed to the project, after discussions between Liz Savage and Sefton’s Cabinet Member for Health and Wellbeing, Ian Moncur. This is a major step forward to save the playground. We would ask that you contact your local ward councillors, Mike Booth, Fred Weavers and David Pullin and urge them to co-operate with Sefton Council to save the playground by agreeing to spend the ward funds on the Ovington Drive playground renovation.